For over 100 years, Minor Rubber has been a leading manufacturer of molded and extruded rubber products, including U-channel extrusions. We serve the OEM and replacement part markets, specializing in the electronics, aerospace, healthcare, construction, transportation, and defense industries. In addition, we provide stocking inventory for industrial distributors. Our experienced staff is knowledgeable about the industries we serve and their application requirements. We work closely with each customer to ensure that your U-channels meet your application requirements, part specifications, and quality standards, and are delivered to you on time and installation-ready. 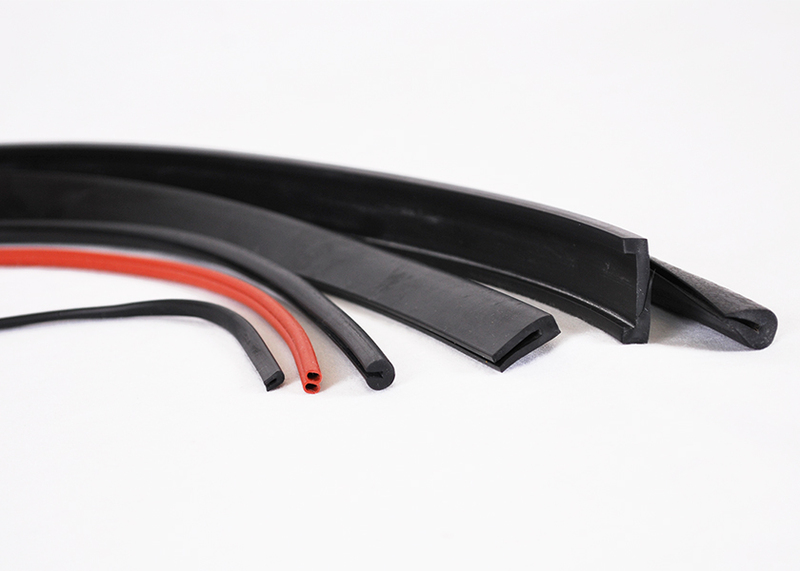 We maintain an inventory of standard extruded rubber u-channel sizes and shapes for quick delivery. Wide range of materials and colors, including butyl, BUNA-N (Nitrile), EPDM, Neoprene®, SBR, and silicone. Materials are offered in commercial and specification grades. Before we start your project, our experienced staff works with you to understand your application and recommend the U-channel design best suited for your part and application. Our expert production staff works with the latest technology and extrusion equipment to manufacture your part right the first time. At Minor Rubber, we have earned a reputation for manufacturing high-quality rubber parts to our customers’ exact specifications. Our attention to detail and commitment to excellence for every project, coupled with our experience and knowledge of the industries we serve, ensure that your extruded rubber U channels will meet or exceed your expectations. Call today to see how we can help solve your manufacturing challenges.